We are a group of Pagan bloggers who come from a variety of backgrounds, but who all practice a naturalistic approach to our spirituality. We celebrate the natural world in our paths, both through scientific evidence and through our personal relationships to the land. Moreover, we emphasize natural causes rather than supernatural ones in our paths, and adopt a healthy skepticism when we approach such topics as deities, spirits, and magic. Please consult the FAQ for more details. While we may differ from other Pagans regarding the supernatural and related topics, we are just one of many vibrant and varied paths under the Pagan umbrella. We invite all pagans to join us in our efforts toward creating a just, healthy and sustainable world for future generations, using evidence-based solutions. If you are a naturalist Pagan interested in joining us, please contact b at rox dot com. We invite you to read more about our current contributors below. More bios coming soon. Mark Green is an environmental activist, nonprofit professional, writer, poet, singer and ritualist. He is the author of several books of poetry and stories, and wrote the foreword to Godless Paganism (John Halstead, ed. ), in which his work appears. Mark serves on the Core Group of the Spark Collective ritual group in the Bay Area, blogs at Atheopaganism and at PaganSquare, and moderates the Atheopaganism Facebook group. He lives in the California wine country with his wife Nemea and Miri, the Very Soft Cat. 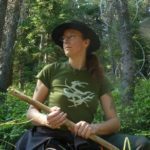 Lupa is a naturalist pagan author, artist and general creative in the Pacific Northwest. She is the author of several books on nature-based paganism, and the creator of the Tarot of Bones. She is a Masters-level ecopsychologist, and is working on her Oregon Master Naturalist certification. More about Lupa may be found at The Green Wolf. Rua Lupa (“Rua”) is a Canadian Metis who grew up on a small farm in the Lake Abitibi region of the Boreal Forest. As a Naturalist, Bioregionalist and Saegoah, Rua strives to research and provide methods for living harmoniously within Nature in a tangible way, hoping that it will help solve many challenges we face on Earth. This had led to attaining a Wildlife Technician diploma, Permaculture Designer certificate, founding Ehoah, and inventing the Borealis, Australis, and Globus Kalendars. Rua has written previously at No Unsacred Place and Patheos. 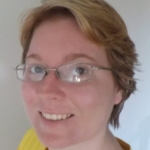 They have been published in Godless Paganism, Circle Magazine, as a contributor to A Pagan Community Statement on The Environment, and at Academia.edu with “Norse Merchant Hat – A Hat Outside of History” becoming a top 3% and 4% searched paper on Academia.edu for two consecutive months respectively. As revealed from the referenced Academia paper, Rua also does Pre-1600’s Living History with the SCA (Society for Creative Anachronism), managing the associated “Ancient Celts SCA” Pinterest group, and is a generalist crafter/artisan. Rua currently lives on ‘The Great Whitestone Island of the Lake Seas’ and their personal blog is Canadian Mutt. John Halstead is a native of the southern Laurentian bioregion, where he practices an idiosyncratic form of Naturalistic Paganism. He the Editor-at-Large at HumanisticPaganism.com where he writes a regular column called “The Naturalistic Pagan Toolbox.” Since 2011, John has been writing about Paganism, Unitarianism, and life at AllergicPagan.com. He has written for numerous other online platforms, including The Huffington Post, Patheos, GodsandRadicals.org, Witches & Pagans, and GodisChange.org. John also edited the anthology, Godless Paganism: Voices of Non-Theistic Pagans (2016). He was the principal facilitator of “A Pagan Community Statement on the Environment” (ecopagan.com). John strives to live up to the challenge posed by the Pagan Statement through his writing and activism. 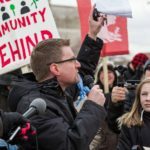 He is one of the founders of 350 Indiana-Calumet and has participated in direct action against the fossil fuel industry. John is also a Shaper of the Earthseed community. Anna Walther’s spiritual interests include healing, meditation, the creative process, sacred place, gardening and foraging, poetry, mythology, Reclaiming Witchcraft, and Modern Minoan Paganism. She attends First Unitarian Universalist Church of Austin and practices a naturalistic form of Green Witchcraft. 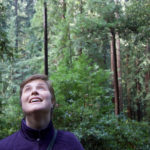 Anna’s work also appears on TejasWeb.org, JustThis, the journal of the Austin Zen Center, and her blog Wildseed Within. Outside of the circle, she enjoys walking her dog, cooking, and hiking and camping with her husband and school-aged children in the beautiful Texas Hill Country. She makes her living as a registered nurse specializing in maternal and child health. Dr. Jon Cleland Host is a Naturalistic Pagan, scientist, father, UU, and science educator. Jon grew up and lives in Michigan (Turtle Island), and has been building a reality-based spirituality for over 30 years, including collaborating with Michael Dowd and Connie Barlow to spread the Great Story of our Universe. 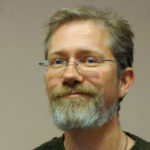 Jon launched the Naturalistic Paganism website (at naturalpagan.org) in 2004, and then the Naturalistic Pagan yahoo group. 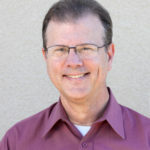 He has written in Godless Paganism, A Pagan Community Statement on the Environment, UU publications including Faithful Practices & Faith of UU Pagans and more, and is the current managing editor at HP (his column there is Starstuff, Contemplating). 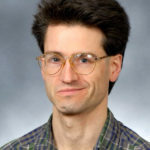 His scientific work supports the growth of solar power, and he holds ten patents, has authored over five dozen internal scientific papers and over a dozen peer-reviewed papers for scientific journals, including the journal Nature. He has also taught classes on biology, math, chemistry, physics and general science at the university level, and has a YouTube Channel. His motivation in all of this is to lovingly help build a better world for future generations, in gratitude for the existence his Ancestors have given him. Bart Everson is a writer, a photographer, a baker of bread, a husband and a father. His formative years were spent in Indiana and northern Sweden, and he has lived in New Orleans since 1999. An award-winning videographer, he is co-creator of Rox, the first TV show on the internet. As a media artist, he works at Xavier University of Louisiana in the Center for the Advancement of Teaching and Faculty Development, with an emphasis on technology, social justice, ecological wisdom and contemplative pedagogy. He helped found the Green Party of Louisiana as well as Friends of Lafitte Greenway, a nonprofit that has played a key role in constructing a greenway through the heart of New Orleans. In addition to writing columns for Mid-City Messenger and Humanistic Paganism, his work has appeared in Red Rock Review and Return to Mago, as well as the collections Please Forward, Godless Paganism and Finding the Masculine in Goddess’ Spiral. His new book is Spinning in Place: A Secular Humanist Embraces the Neo-Pagan Wheel of the Year. He is working to establish a local chapter of the Green Party in New Orleans. More at BartEverson.com.